Catrice 450 Sand Francisco. 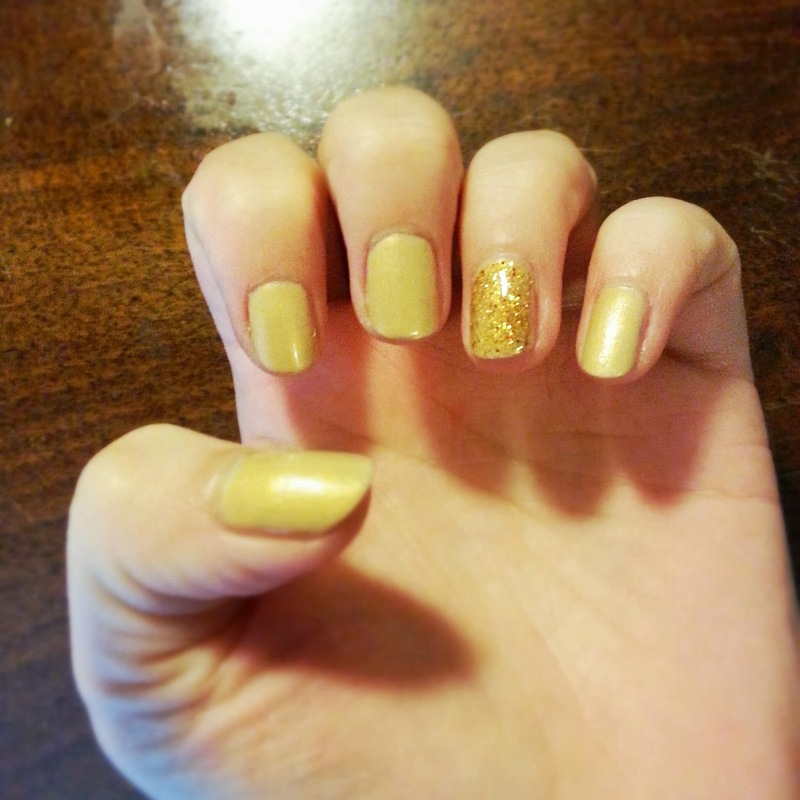 Essence colour&go 94 gold fever. When I'm not in the mood for a real cool nail art, I usually simply add glitters. And when I'm really lazy or not in a real glittery mood I only add them to one nail. I actually love how that accentuated nail will pop. What do you prefer; an even colour, even with one accentuated nail or a full nail art?